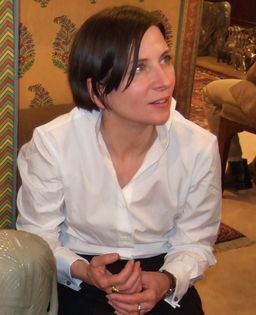 Donna Tartt is an American writer who received critical acclaim for her first two novels, and , which have been translated into thirty languages. Tartt was the 2003 winner of the WH Smith Literary Award for . Her novel won the Pulitzer Prize in 2014. The daughter of Don and Taylor Tartt, she was born in Greenwood, Mississippi but raised 32 miles away in Grenada, Mississippi. At age five, she wrote her first poem, and she first saw publication in a Mississippi literary review at age 13. Enrolling in the University of Mississippi in 1981, she pledged to the sorority Kappa Kappa Gamma. Her writing caught the attention of Willie Morris while she was a freshman. Following a recommendation from Morris, Barry Hannah, then an Ole Miss Writer-in-Residence, admitted Tartt into his graduate short story course where, stated Hannah, she ranked higher than the graduate students. Following the suggestion of Morris and others, she transferred to Bennington College in 1982, where she was friends with fellow students Bret Easton Ellis, Jill Eisenstadt, and Jonathan Lethem. At Bennington she studied classics with Claude Fredericks. She divides her time between Virginia and New York City.